Abhishek Singh was the top raider for U Mumba with 12 raid points, while Fazel Atrachali was their top defender. 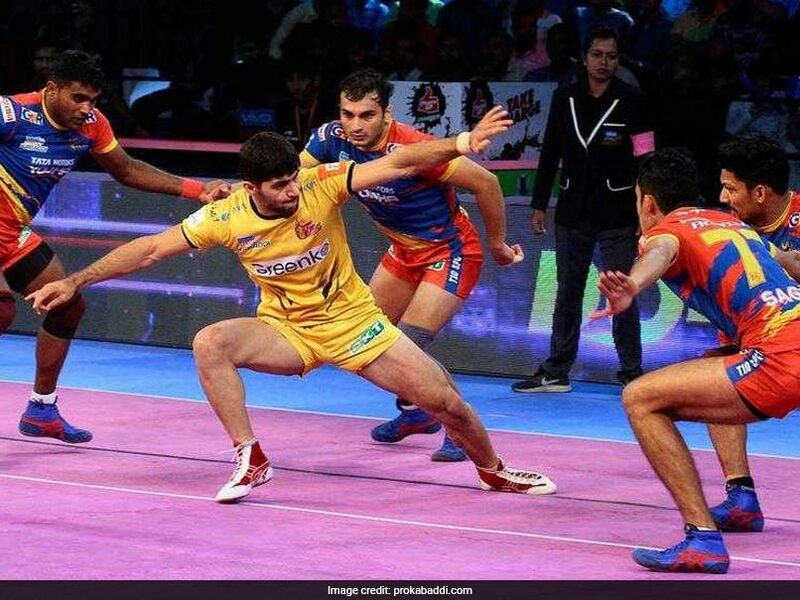 Telugu Titans registered their second consecutive win of the Pro Kabaddi League Season six by beating UP Yoddha 34-29 on Saturday. It was an all-around effort from the Titans with Rahul Chaudhari and Nilesh Salunke chipping in with raid points. Meanwhile, in the second match of the day, U Mumba thrashed Haryana Steelers 53-26. Abhishek Singh was the top raider for U Mumba with 12 raid points, while Fazel Atrachali was the top defender for the Mumbai-based franchise. For Haryana Steelers, Vikas Kandola (nine points) was the top raider and Sachin Shingade was the top defender. Earlier, in the first match of the day, Abozar Mighani and Vishal Bhardwaj kept the UP Yoddha raiders quiet for most of the match. Prashanth Kumar Rai scored 11 points for UP Yoddha but his effort went in vain. Telugu Titans led 3-0 after three minutes while UP Yoddha opened their account with a tackling point in the fourth minute. Rahul Chaudhari scored a raid point in the 10th minute to give Titans 8-7 lead. UP Yoddha's raiders found it a bit tough to get going in the first half as they trailed 9-13 after 15 minutes. Rishank Devadiga had three points but didn't get too much support from the likes of Shrikant Jadhav. In the 19th minute, Rishank scored with a two-point as UP Yoddha cut the deficit to just two points. Telugu Titans ended the first half strongly by forcing a super tackle in the 20th minute to lead 18-13 at the break. Abozar put in a solid defensive shift in the first half and scored four tackle points. The second half followed a similar pattern as Telugu Titans led for most of the first 10 minutes. Rishank scored with a two-point raid in the 26th minute as UP Yoddha trailed 16-21. With less than three minutes to go, UP Yoddha forced a super tackle and trailed 25-30. Prashanth Kumar Rai came up with the brave moment of the match as he made that tackle which led to the super tackle. For a fleeting moment, it seemed like UP Yoddha might make a comeback as they trailed by four points with just two minutes left. 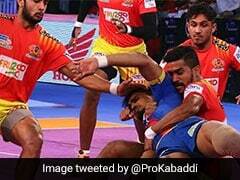 However, Abozar made another crucial tackle in the 39th minute to give Telugu Titans a 31-26 lead. Rahul then sealed the match with a super raid in the dying seconds to help his team win the tie 34-29.